Since his return on October 31 after undergoing spinal surgery in Germany, former Malaysian deputy prime minister Anwar Ibrahim has been wooing large crowds wherever he goes. With his prime ministerial image and Malay-language oratory skills being exploited by supporters to pull crowds, Anwar, whose dismissal and dramatic arrest six years ago sparked Malaysia’s worst political crisis since independence, is catching up on lost time by meeting supporters and admirers and rediscovering his former popularity. Anwar spent almost a month at a Munich hospital after his conviction was overturned on September 2. His release sparked fears of his future political direction from the ruling party UMNO, which he had almost headed before his unceremonious sacking by then prime minister Dr Mahathir Mohamad. Calls were made by UMNO leaders urging prime minister Abdullah Badawi to bar him from joining UMNO, although no such intent was stated by Anwar. The fears expressed by the ruling politicians were justified: the sure prime ministerial route has always been through UMNO, whose alliance with two other race-based Chinese and Indian parties has ruled Malaysia for decades. Whether or not Anwar has the ability to change this tradition remains to be seen, but any suggestion of his return to UMNO will spell the end of political careers of several newly emerging leaders in Abdullah’s government. Three of them are sons of former premiers, including Mahathir’s, and stand most to lose if Anwar ever comes back to UMNO. 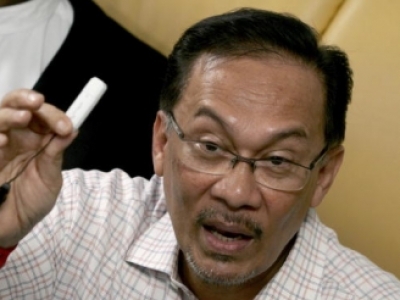 So far, Anwar has chosen not to rejoin UMNO and stay with the opposition. On his return fromumrah in Makkah on October 31, Anwar pledged to work with all quarters, including the present government. While he is yet to go on record as publicly burning his bridges with his former colleagues in the cabinet, he has been at pains to explain to supporters and the media about his stance, pledging to work hard for a ‘credible opposition’. Whether or not such an entity includes the present opposition parties is not clear. But for now, Anwar as the person and the politician is the main topic of discussion among political circles on both sides of the fence. His stay at the Munich hospital offered observers and supporters a glimpse of the supposedly ‘new’ Anwar who has just spent six years behind bars. The personalities who visited him, from former presidents like Indonesia’s Abdurrahman Wahid and BJ Habibie, Muslim scholars like Yusuf Qaradawi and other like-minded ulama, to several senior European and US political decision-makers, as well as the interviews he gave to the western media, have revealed the familiar picture of Anwar as a Muslim ‘moderate’ being nurtured by the western media incubator. His mild statements ‘criticising’ the Iraq war, coupled with the standard reaction now prevalent among some Muslims—i.e., urging the US ‘war on terror’ to be fought on the psychological level so as to discourage Muslim militancy—further help him to be presented positively. His treatment as a ‘royal guest’ of the Saudi rulers during his umrah also raises questions about the people he associates with and the implications back home of such a close relationship from an Islamic movement perspective. While his depiction as a ‘moderate’ and a candidate for ‘dialogue to bridge [the] west-Islam divide’ may be going too far, the image being painted of him is not surprising. The Western media have a habit of building up any Muslim leader about whom they have the ‘gut feeling’ that he might one day hold power in a Muslim country. These suspicions are fuelled by a meeting Anwar had in Munich with US deputy defence secretary Paul Wolfowitz, one of the ‘hawks’ in the Bush administration and architect of the US attack on Iraq last year. The same standard ‘moderate’ Muslim criticism of the US as usual was expressed by Anwar during the meeting. 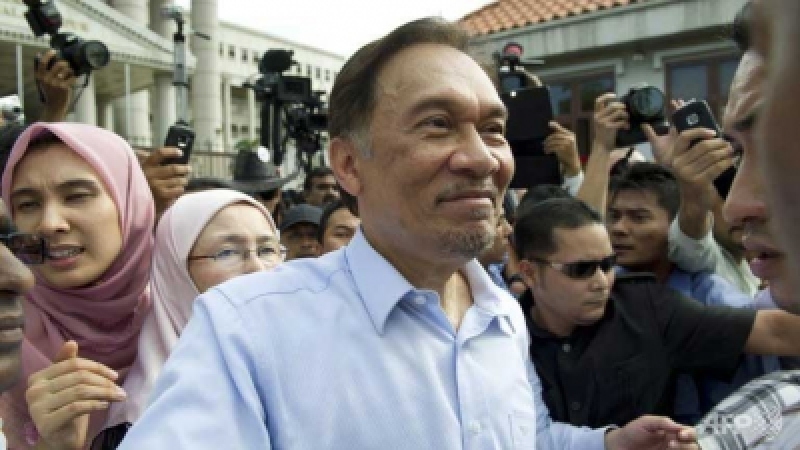 In the meantime, many supporters within the opposition Islamic Party (PAS) and the People’s Justice Party (PKR), headed by Anwar’s wife Dr Wan Azizah Ismail, have chosen to confirm the popularity of Anwar. At this stage, Anwar’s aides have a problem to correct Anwar’s image as someone too close to western officials as well as indifferent to injustices against political critics during his sixteen years in Mahathir’s cabinet. 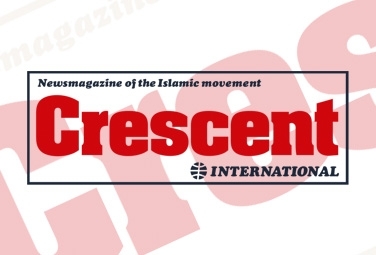 Sources close to Anwar have told Crescent International that Anwar has been advised about the danger of being seen as someone favoured by the US, in view of the general Muslim hatred of the US. A closed-door meeting after an iftarwith party leaders on November 7 revealed the ‘other side’ of Anwar away from western media portrayal, and his rarely heard ‘strong’ condemnation of US policies. Several subsequent public meetings were organised in order to get insight into the man who is making waves in Malaysian politics despite having no political power—a rare phenomenon in Malaysia. While opposition parties and NGOs from both the secular and Islamist sides agree that Anwar is the best hope of a united opposition, this also means he has too many people to please in order to be seen as a unifying factor in Malaysia’s complex Islamic/multireligious politics. Such a dilemma may be bad news for a politician’s credibility in the long run. Still, the explanations he gave on various topics, ranging from PAS’s Islamic state agenda to secularism, have made those uncomfortable with his ‘moderate’ (in Western parlance) image to give him the benefit of their doubts. Soon Anwar’s charisma with the crowd — an asset that the opposition camp had been left most wanting since the departure of Mahathir from the political scene— will be used to the full. Now that he is released, supporters are making no secret of such ‘exploitation’: “We must make full use of Anwar’s release in our campaign to defend human rights in this country,” said Saari Sungib, a former aide of Anwar’s said on November 24, when he announced the start of a campaign to abolish the Internal Security Act (ISA): that is the tool used by Mahathir during his two decades of rule to stifle dissent, and its demise would be a great encouragement to activists of every hue in Malaysia.